Do NOT close this page – Please ACCEPT or DECLINE this one time offer below. …And Get More Leads, Sales & Profits Within Minutes. Get Instant Access to SyVID–Agency License Right Now! 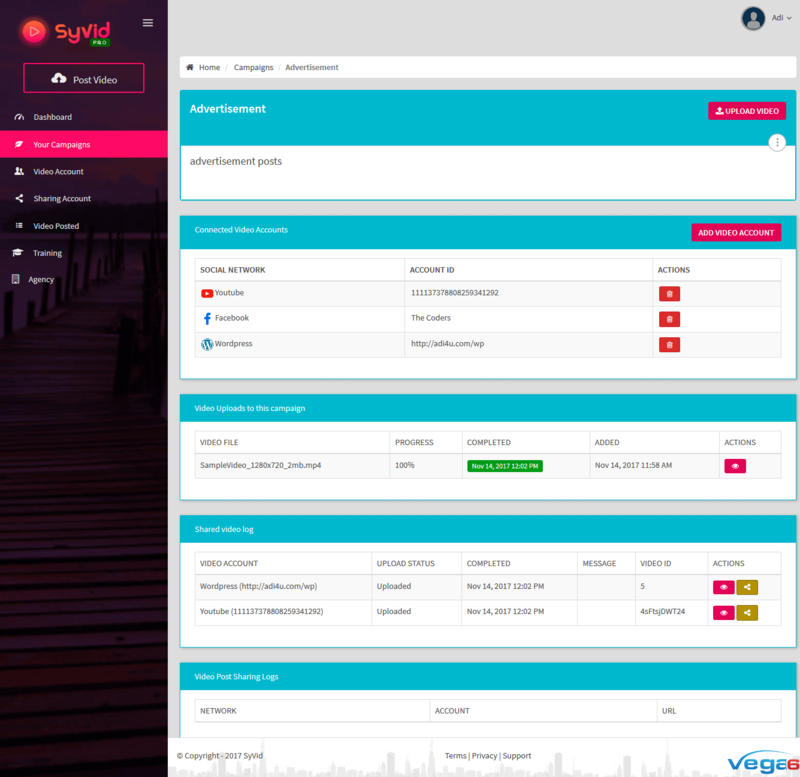 Get SyVID Now – Agency License! IMPORTANT: Act fast to lock in your AGENCY license and use SyVID to rake in thousands of dollars per week as a video marketing genius! This 2—punch combo of mass syncing and social media backlinking ramps up your view count… and the more views your video gets, the higher it appears video websites and Google search results! higher in their search results… sending more traffic and views to your video! Within hours, your video is getting a lot of views, so the video sharing websites start placing it at the top of their search results too! 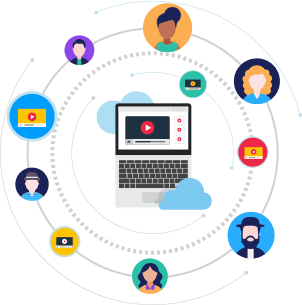 Our One-Click Connect technology quickly connects all your video sharing social media accounts by simply clicking on an icon and securely entering your credentials. Now you can publish to multiple accounts at the push of a button! Have multiple accounts in YouTube or Twitter? 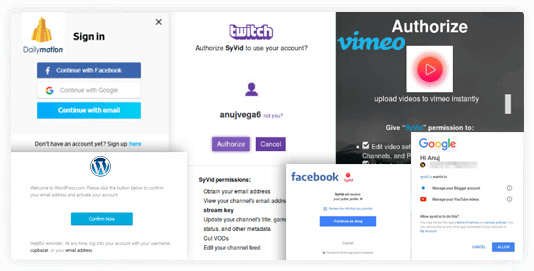 Now you can automatically post videos to all your connected accounts within a single website, across 7 video sharing websites and 13 social media websites. The possibilities are endless! 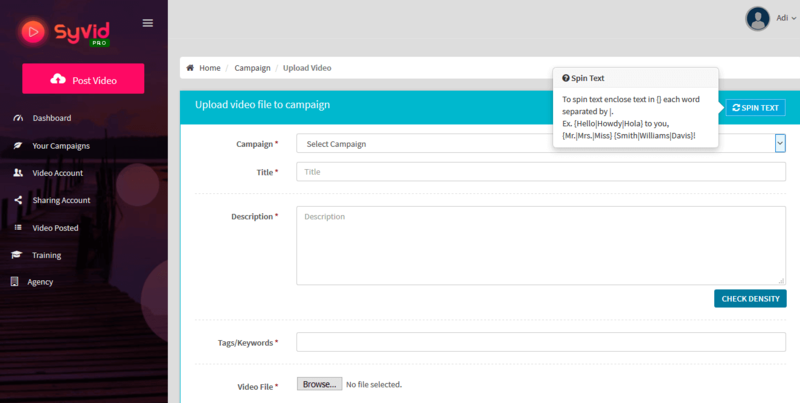 Easily organize your video syncing campaigns inside your control panel. 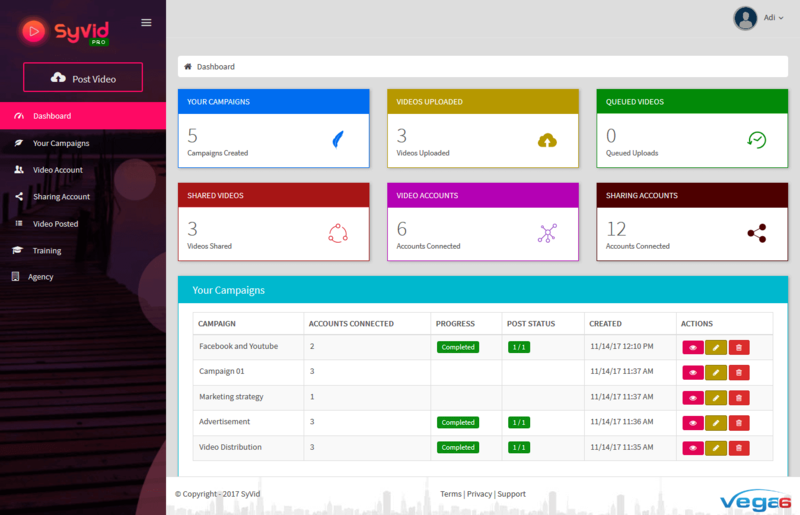 Keep track of users, videos and entire campaigns, so you can progress without stress, and know exactly what’s happening at a glance. Worried about posting the same video to multiple sites and accounts, and getting slapped with dupe content penalties? No problem. 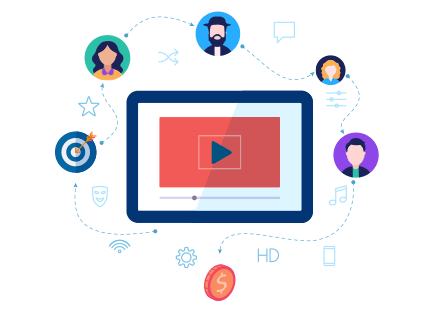 SyVID can automatically spin your video’s title, keywords and descriptions across each video sharing website, to avoid duplicate issues. This is a great way to testmultiple titles, and see which one get the most views, clicks and sales! SyVID generates a unique SEO Rank Score for each title, keyword and description when you’re uploading the video, showing you exactly what is required to get better video rankings on all the video sharing websites and reach Google page #1 too. Schedule videos to upload on a certain date and time, and even schedule SyVID to share at a certain date and time too. Perfect for publishing videos when your target audience are waking up, or relaxing at home, or simply letting SyVID take care of everything while you’re away from your desk, having fun. SyVID is a 100% whitehat video distribution app that does not violate any TOS, making sure your accounts are fully safe. There’s nothing to download or install or configure. Simply login to your SyVIDaccount and start publishing and sharing videos in minutes. With over 100s beta testers and 3 months in research and development, SyVID is battle—tested traffic—getting tool you can rely on. 100s Of Videos Per Hour…Day… Or Week! 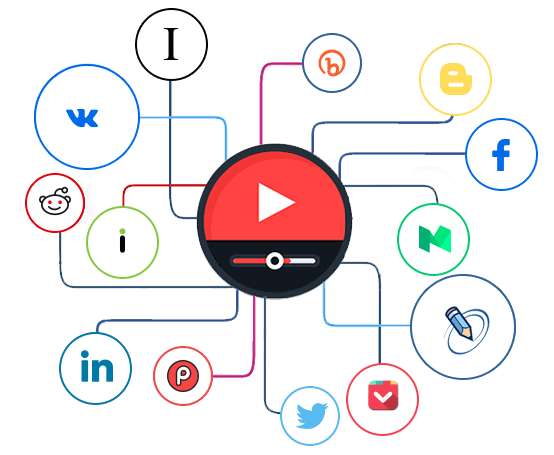 Can you imagine the kind of traffic you could be getting from 10,15 or even 20 videos uploaded to Vzaar, Wordpress, Tumblr, Vimeo, Dailymotion, Youtube, Facebook and Blogger? What about 50, 70 or 100 videos? We’re talking about thousands of free visitors… all watching your videos, then pouring into your landing pages and offers… building your list… clicking your affiliate links… buying your products. KAA—CHING! No More Manually Uploading & Sharing Your Videos To Multiple Websites! SyVID’s one—click technology syncs and shares your videos at the push of a button, saving you hours of hassle and endless screen gazing. Now you can sync dozens of videos per day… in a few quick clicks! No More Logging In & Out Of Different Social Media & Video Accounts! 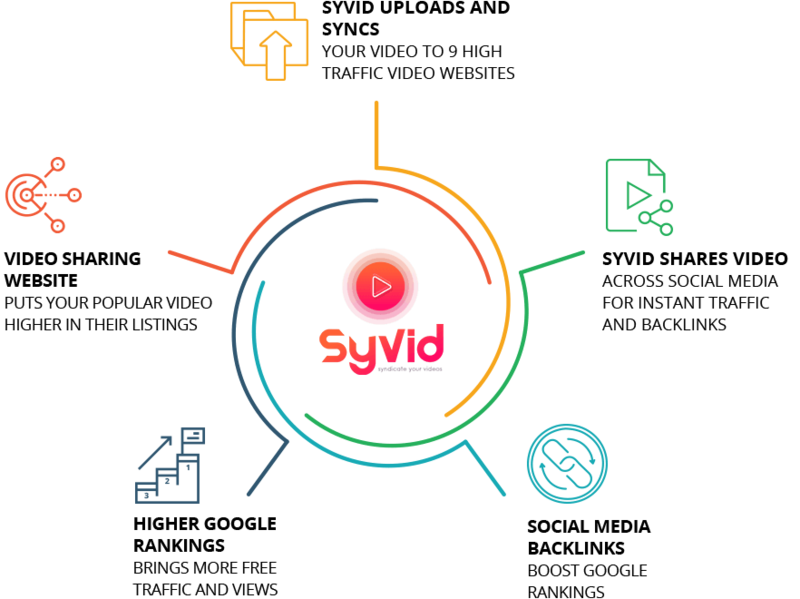 SyVID allows you to connect multiple video channels and social accounts, for fast, easy, push button publishing whenever you need more free traffic. 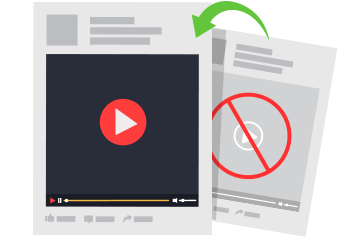 … allowing you to share the same video multiple times, across multiple websites, without penalization. It’s also great for testing different titles and descriptions to see which gets the most views! 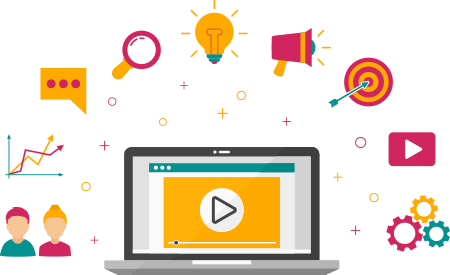 With SyVIDs’ built in SEO ranker, you’ll see exactly what you need to tweak to get your video rocketing up the search results, and raking in thousands of extra views each week, month and year. Plus: Act fast to lock in your AGENCY license and become an overnight video marketing genius, helping biz owners promote their videos, and clients paying you hundreds of dollars per day, before you’ve even had lunch! This Freelancer Search Engine does exactly what it says -- it lets you setup your own search engine for freelancer jobs. This script has designed and perfected for SEO. The script generates unique and related meta tags for every page. It automatically pulls projects from Freelancer.com and allows you to input your affiliate code to make commission. Google And Social Signals Results In Huge Opportunity For The Savvy Internet Marketer! Google quitely, announced the new feature for the search engine, called Rich Snippets. Using microformat or RDF you can add pieces of code that will Google find and use with search engine results.. Create coupons you can print to give to offline customers with a QR code to share the coupon on facebook. Easily allow your clients customer to share the coupons with a easy QR code they can scan and share the coupon in seconds. Easily create a mobile landing page where you can reveal a coupon oode once they share the coupon on Facebook and much more! Header & Graphics Blowout! If you have been banging your head against the wall trying to figure out how to make the perfect header, then YOU need this Header Pack! Discover the effective methods used to increase your earnings and become a Super Affiliate! Wondering how people make money online and how marketers take their online business to new level and gain huge profits? Most people never make it in the online marketing world or affiliate marketing because they don't use a specific method and practice it until they move on to the next. Every time someone sends out an email about a new product launch or a new way getting more sales they lose focus and try that out. Introducing The Sneaky Video Squeeze Page Maker! The money is the in the list. That's what many successful online entrepreneur's are saying. And if you are not doing it also, you are leaving a lot of money in front of you. The question is that, how are you going to build a list? Well, the most effective way to do it is by using video squeeze pages. "no thanks. 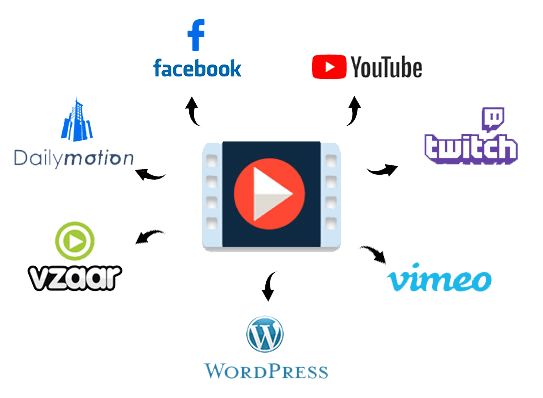 I don’t want to get tons more traffic, leads and sales by simply publishing and sharing my and my clients videos on multiple video sharing and social media platform to reach bigger audience and get free traffic. Take me to my purchase." Every effort has been made to accurately represent our product and it's potential. Any claims made of actual earnings or examples of actual results can be verified upon request. The testimonials and examples used are exceptional results, and don't apply to the average purchaser and are not intended to represent or guarantee that anyone will achieve the same or similar results. Each individual's success depends on his or her background, dedication, desire and motivation. As with any business endeavor, there is an inherent risk of loss of capital and there is no guarantee that you will earn any money.